First Look: DC Vertigo's Goddess Mode #1 – AiPT! 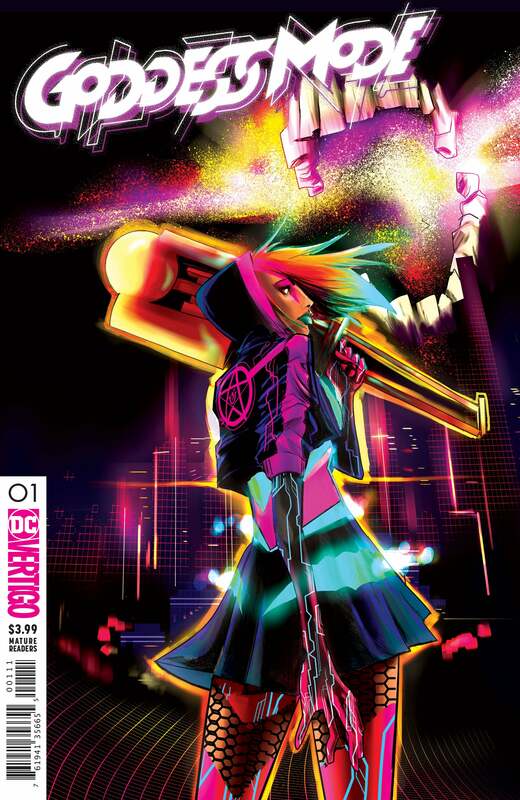 New series by Hugo Award nominee Zoë Quinn and Spider-Gwen co-creator Robbi Rodriguez! In a near future where humanity’s needs are provided for by a godlike A.I., it’s one young woman’s horrible job to perform tech support on it. But Cassandra’s life changes forever when she discovers a hidden digital world beneath our own, one where a group of super-powered women are locked in a secret war–attempting to break free into reality. This is more than a story about asskicking, cyber Magic Girls–it’s a story about a finding hope in the dark.